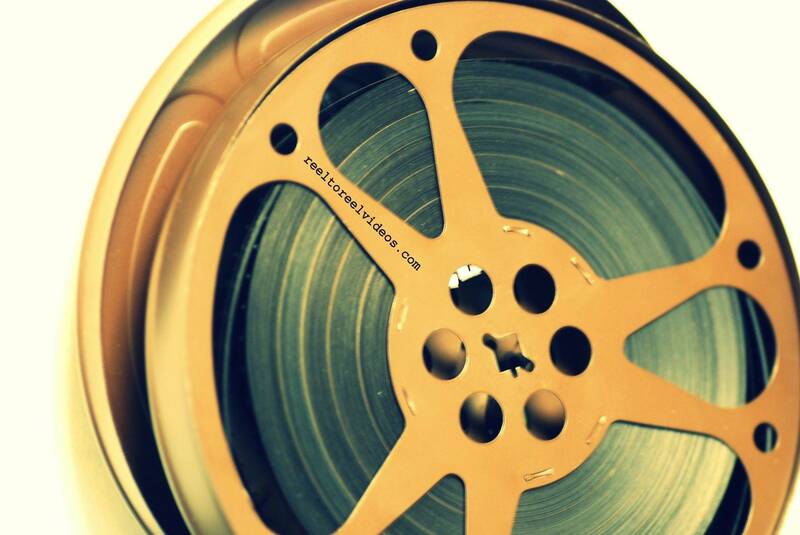 We at Reel to Reel have been converting film for over 30 years. Only well trained employees will handle your film throughout the conversion process. We exclusively use state-of-the-art machinery and image enhancing software with a special capturing process, plus old-fashioned hard work when cleaning and prepping the film. We will never capture your film off a wall or curtain nor utilize any questionable methods when converting your film. You will get back your original film, plus a DVD with custom icons, custom music and a private email to view your film online and send to family and friends. We convert 8mm film, super 8mm film, 16mm silent film, 16mm sound film and more. Music is added free of charge to silent film. 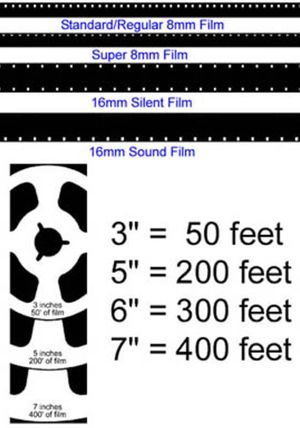 Audio can be enhanced, slowed or sped for 16mm sound film. All film can be converted to files such as MP4, AVI, MAC MOV, FLV, WMV and Quicktime files. ~No need to worry about splicing or repairing broken film, we do it for you at no extra cost. ~If you would like your reels transferred in order, number your reels individually with a marker or sticky note. ~There is a small service charge for changing between regular 8mm, super 8mm and 16mm (see chart to the right for examples and footage calculation). ~So it's a good idea group formats together to maximize your value. ~Up to 1800 feet of 8mm or s8mm film can be transferred to one 2 hour DVD. ~Small reels will be assembled onto 400 ft reels at no extra cost. ~Music is added to all silent film by default. We offer vocal and non-vocal music as well as an array of sound beds. ~You can also send in music of your own to be used. ~Sound film that is transferred with the audio track will not have background music, even if the sound is not continuous. In the 1890s, films were seen mostly in storefront spaces and mobile acts in programs. A film could be under a minute long and would usually present a single scene. There was little to no cinematic technique and the film was usually black and white and it was without sound. The novelty of moving photographs was enough for a motion picture industry to bloom before the end of the century in countries around the globe. The Cinema was to offer a cheaper and more simple way of providing entertainment to the masses. Filmmakers could then record actors' performances, which then could be shown to audiences around the world. Travelogues or diaries would bring the sights of far-out places with movement directly to spectators' hometowns. Movies would then become the most popular visual art form of the late Victorian age.